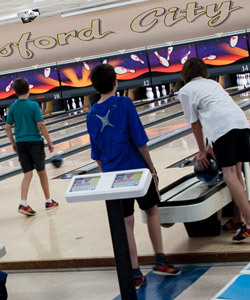 At Gosford City Bowl, we run leagues for people of all ages and abilities. Most of our leagues are handicapped, to allow beginner bowlers to compete with our more experienced bowlers, making it fair for everyone. We also have scratch leagues for the expert and more competitive bowlers. Leagues run most days at various times. Check the league sections to see which leagues are best for you!! We can also arrange coaching for bowlers to help them to learn to bowl better and get much more enjoyment out of the sport. We’re sure there will be a league to suit you. Why not view the leagues pages for all the category`s from the menu above.